TV units are incredibly practical. Not only do they offer a storage solution for a variety of miscellaneous items, they are great for creating a stylish focal point for you living room. 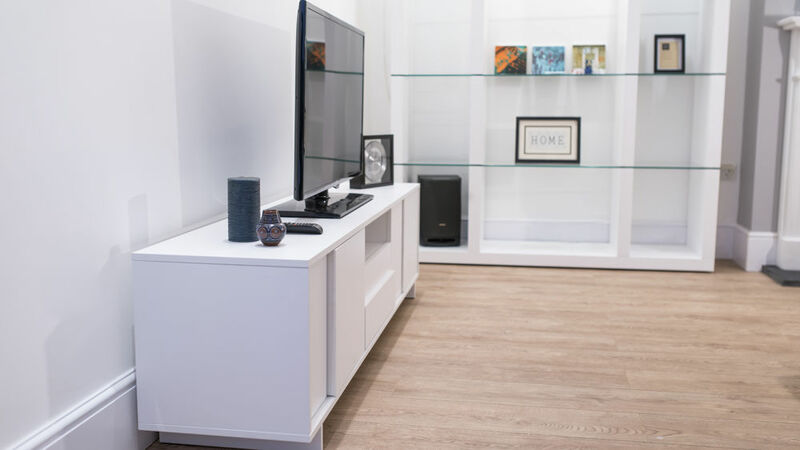 With our Nuvola White Oak TV Unit, you'll be able to store away those items that just don't seem to have a home, all the while having a stylish perch for your TV and electronic consoles. 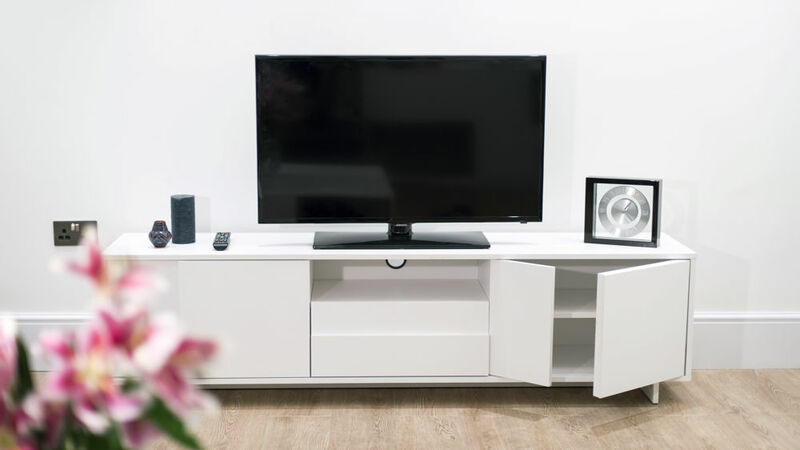 At 47cm in height, 39.5cm in width and 180cm in length, the Nuvola White Oak TV Unit is the perfect size and height for your TV and electronics. 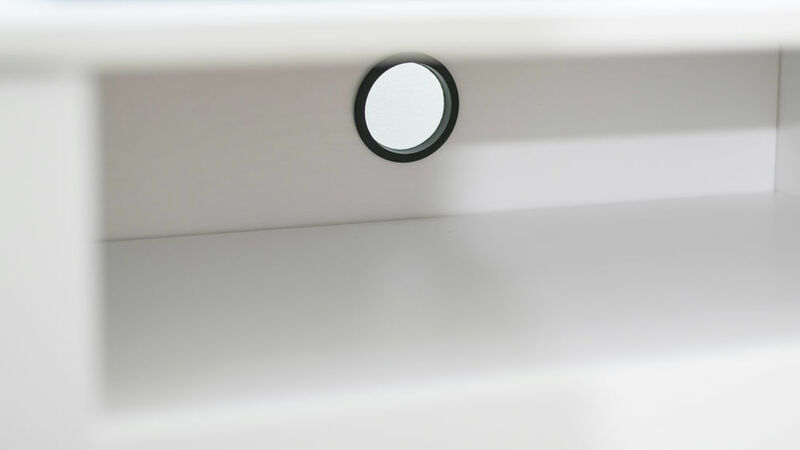 This clever sizing means the TV unit has enough visual impact in a space, without looking bulky or taking up too much room. 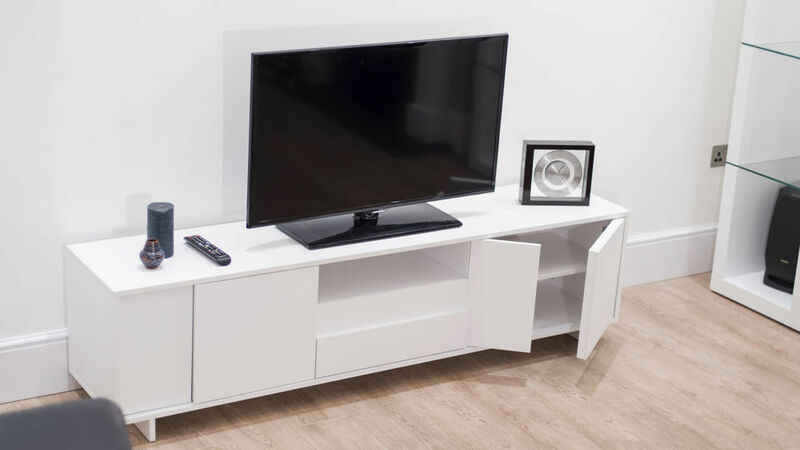 This contemporary and eye-catching TV unit is finished in gorgeous modern white oak veneer. 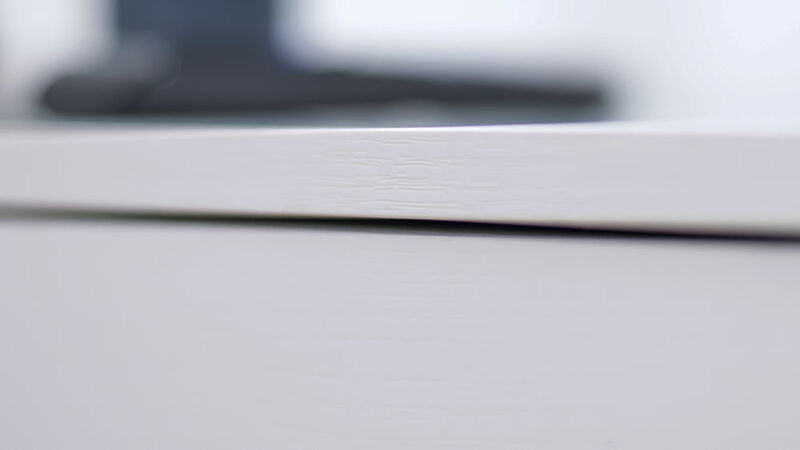 The benefit of having an oak grain is that it creates warmth with its natural looking finish; you'll be unable to resist running your fingers over its natural contours! 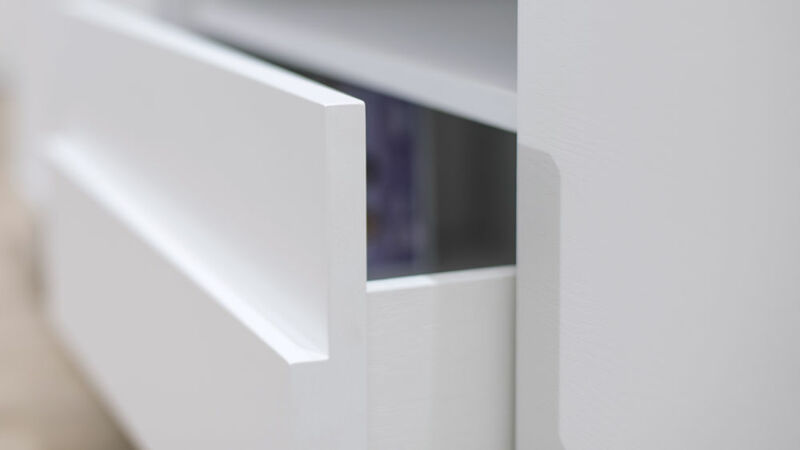 This makes it a very stylish alternative to having a glossy finish. 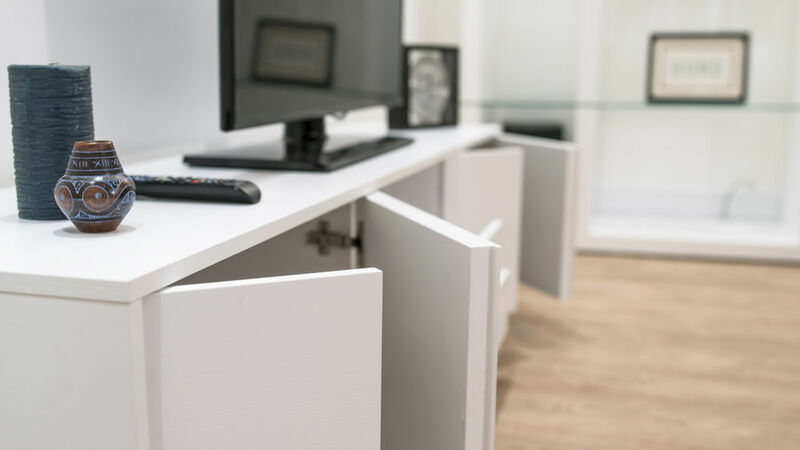 The Nuvola White Oak TV Unit has easy access to plug in cables through the back, a useful design feature that makes this unit even more practical. This modern TV Unit is stylish yet very practical. It has 3 storage compartments including 2 cupboards and 1 draw, which are perfect for storing DVDs or remote controls. The display shelf in the middle is then suitable for a TV box or DVD player, meaning this unit has ample storage for a variety of items. 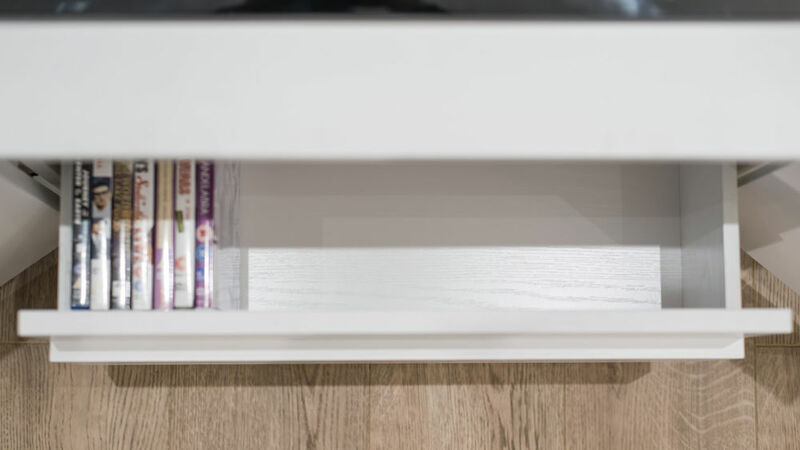 If you like the design on the Nuvola White Oak TV Unit, why not give your living room a makeover and take a look at the other products in our Nuvola range? We have matching coffee tables, a stylish sideboard and a trendy book case, so creating a coordinated look throughout your living room couldn't be easier!